These new internal pipe cutters have an ingenious design to ensure a safe, easy, and clean cut without any PVC shavings falling into your monitoring well. The replaceable cutting wheel pushes against the casing from the inside out, and is tightened with each rotation to give a clean and precise cut. Available in sizes to suit 50mm and 100mm casing. 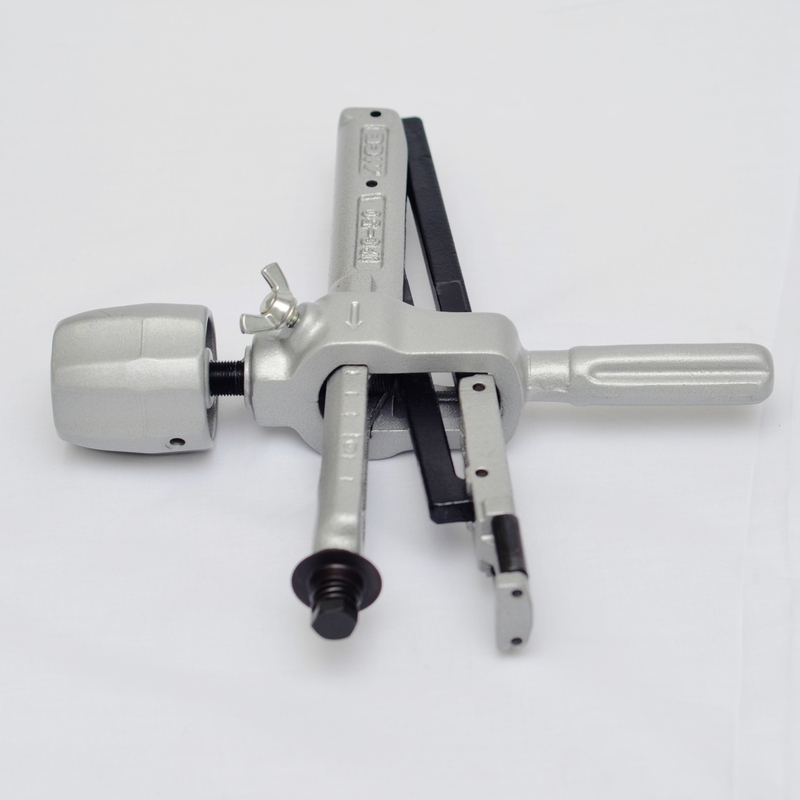 The IPC50 and IPC100 are an ingenious design of internal pipe cutter. It uses a replaceable cutting wheel blade to give a clean cut without any shavings. As you tighten the handle and rotate, the cutting wheel pushes against the inside of the casing and cutting cleanly through.